When your Destination is Big Bear either for the day just to get out of the heat of the desert sun or just to relax at the lake for the day, or spending the weekend in a Big Bear Cabin Rental. 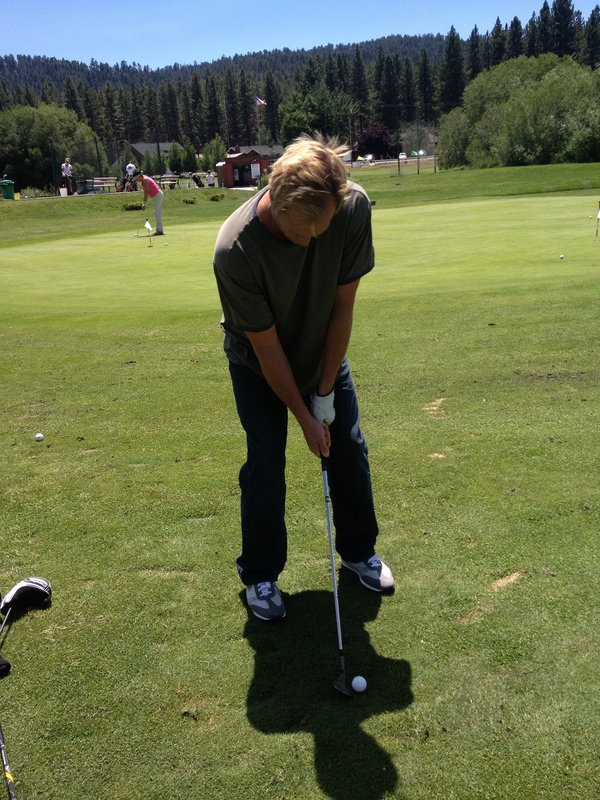 Make sure you bring your golf clubs and head on over to the Big Bear driving range at Moonridge. You can hit the ball like a pro at 7,000 ft elevation. We decided just to practice for the day at Big Bear Mountains Practice facility. We hit a couple of bucket of balls on the driving range which is laid out very nice. The driving range has yardage markets from 50 yards to 250 yds and a fence that is all of 280 to carry. You can really get your game dialed in at this practice facility. You can purchase balls right at the hut located next to the range. Large bucket of balls will run you around 4 bucks. After spending an hour or so at the range we decided to head back to our Big Bear rental for lunch and some refreshments. I had homemade egg salad sandwich and Nick had a bologna sandwich of course. After drinking a couple of cold ones we decided to head back to the range for a little short game practice. Walking from our Big Bear Cabin to the range was only a ﬁve minute walk. The Zoo is right up the hill we could hear the animals. Must have been lunch time for them as well. The range is perfect for short game practice. It has a bunker next to a green for chipping. 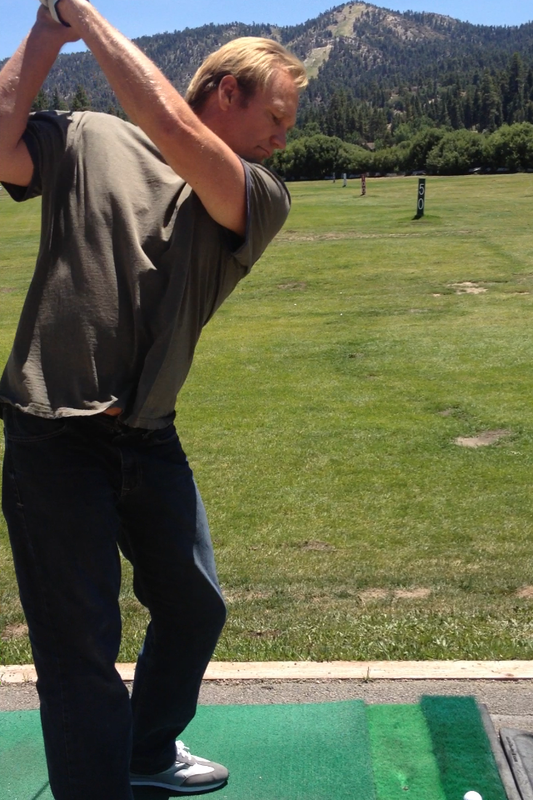 MoonRidge Golf Course and Practice facility was affordable, relaxing and whole lot of fun. The next time we come up we will for sure take advantage of the golf, cart and lunch specials. To book your Destination Big Bear Cabin Rental, call (909) 752-0234. Destination Big Bear has cabins conveniently located near Bear Mountain Golf Course, Snow Summit, Big Bear Mountain, Big Bear Village, and Big Bear Lake. We have cabins for every budget from cheap cabin rentals to luxury cabin rentals. Ask about pet friendly cabins and activities to do in Big Bear Lake.